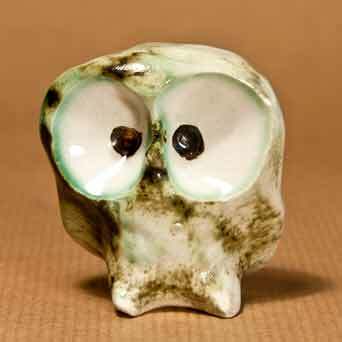 Green glazed Carn owl - 2⅝" (66 mm) high. HAVE YOU SEEN OUR PIN-UP PAGE? Large high quality pictures, changed every few days.